With move-in just a few days away, we know our incoming first-year students have Orientation on their minds! Our Orientation Team has loaded up the Orientation schedule with lots of fun events and traditions that I know the Class of 2021 will absolutely love. As a past Orientation Leader, I remember jumping up and down with welcome signs at move-in day and leading small group chats with my Orientation group on the quad. It was one of my all-time favorite Emory memories (along with my own first-year Orientation!) because I got to see that excitement in the first-years’ eyes. They were so excited to finally be college students at Emory University and so proud to start their Emory experience. Class of 2021, get ready for a whirlwind of amazing Orientation events! 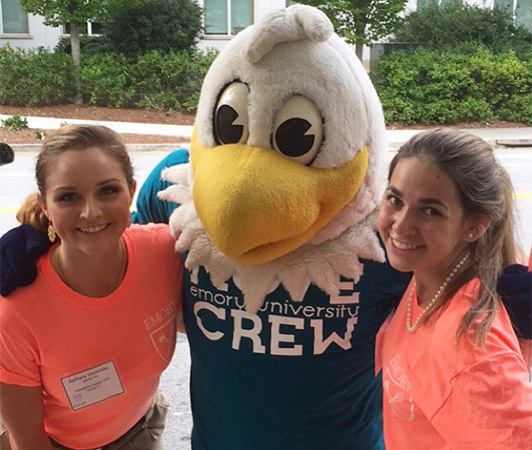 Emory does first-year move with passion—we joke that it’s like a morning at Disney World. When your car drives up to your residence hall, over 100 Emory students and Orientation Leaders will be bouncing up and down with welcome signs, dancing to music, and waving their hands in welcome. They’ll swoop in and whisk all of your bags from your car to your room. You may not have to touch a single bag or bin! You’re finally home at Emory, and we can’t wait to welcome you. As a first-year, I remember being really nervous when I drove up for move-in, but when I saw those smiling faces and heard those friendly words of welcome, all of my nervousness melted away. As an Orientation Leader, I was thrilled to get to pass on the experience to new first-year students. Residence Hall Advisors and Sophomore Advisors for each residence hall spend weeks planning the lyrics and dance moves to teach their incoming first year students during Orientation. The lyrics of the Songfest songs tell the crowd why their residence hall is the very best and playfully tease the other first-year residence halls. A panel of judges gives awards for best banner, best lyrics, best T-Shirt, and, most importantly, best overall! 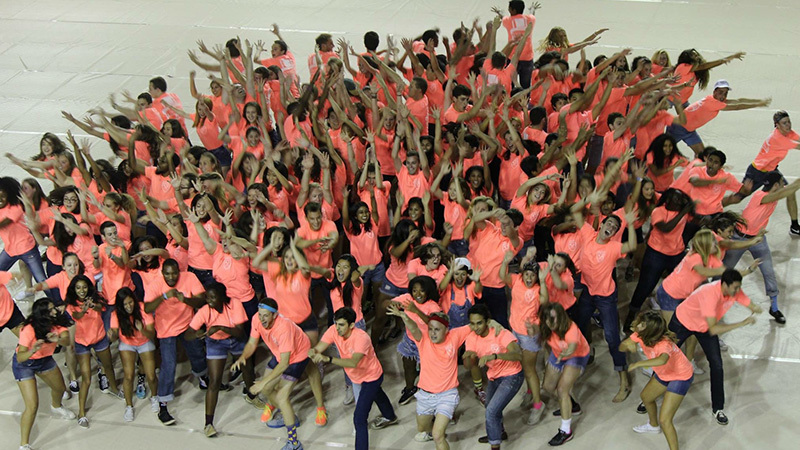 This high-energy event attracts students from every year at Emory to come together as a community and cheer on their first-year residence hall. On my Emory tours, I always brag about the student talent at Best in Show as I pass by McDonough Field. 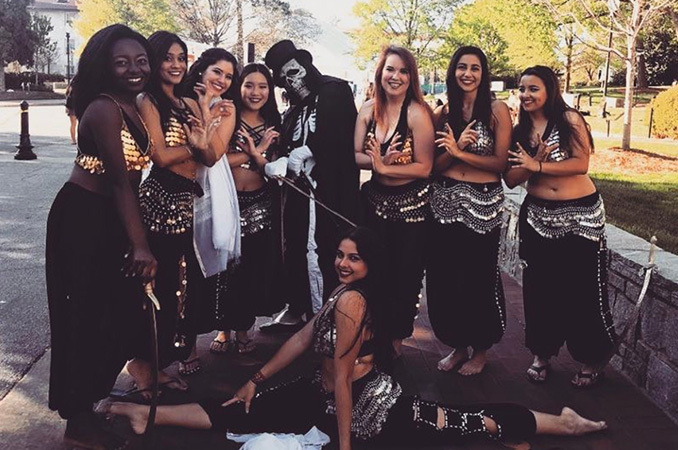 This Orientation event features a wide variety of performing arts groups at Emory, including belly dancing, a cappella, salsa dancing, and more! Emory students come together in the evening to relax on McDonough Field and cheer on their friends on stage. As a rising senior, I’ve loved seeing Emory’s performing arts groups grow and develop every year! It always makes me proud to see my math-major friend nailing her belly dancing solo or my pre-law friend harmonizing perfectly as a baritone in his a cappella group. Best of all, the show is just before many performing arts groups’ auditions, so first-year students get to see many of the great and unique opportunities to get involved with performing arts at Emory! On move-in day, the first-year students join with their families on Emory’s quad to meet the president of Emory. The current president, President Claire Sterk, will greet the Class of 2021 and give a toast to the coming four years of success for our newest students. 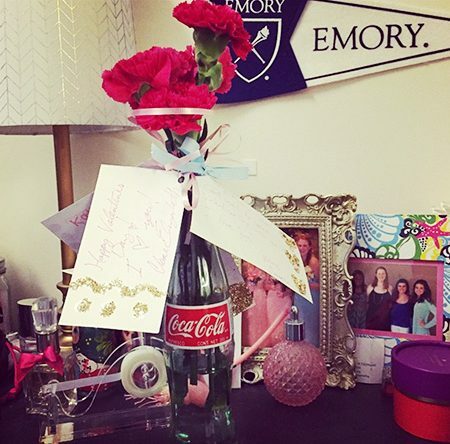 Of course, with Emory’s longstanding relationship with the Coca-Cola Company, we toast with Coca-Cola bottles! I loved being part of such a longstanding tradition at Emory on my very first day on campus. Years later, the Coca-Cola bottle from my toast first year is still on my desk. 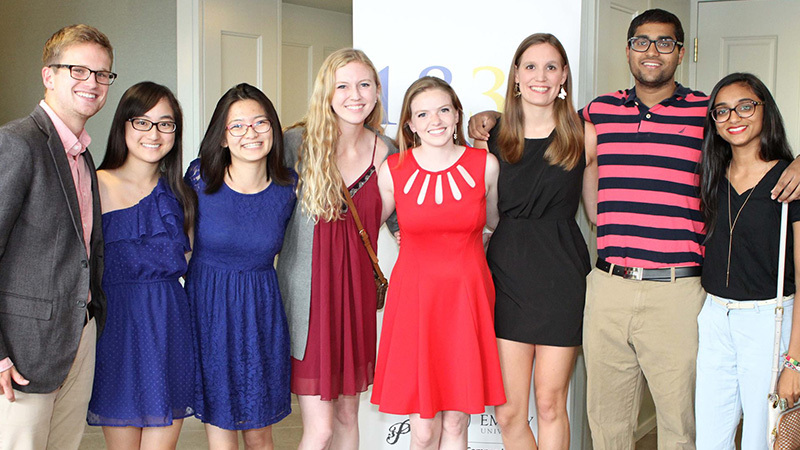 Every year, first-year students gather with Emory faculty and administration to enjoy a meal together. It’s a wonderful chance to get dressed up with your new friends and meet new classmates during your first few weeks on campus. I loved meeting students from different countries and US regions at my table and realizing that I was dining with some of the brightest students in the world. We can thank one of Emory’s secret societies, the Paladin Society, for hosting the event annually. Of course, these are just my top 5 favorites! I could go on and on—the student activities fair, the first Wonderful Wednesday, the first First Friday of the year… Class of 2021, you have so much fun right around the corner! 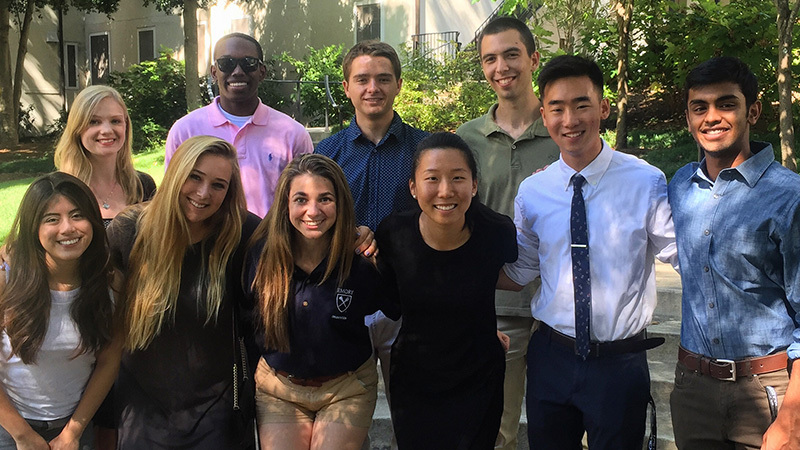 During Orientation, you’ll meet friends that will last a lifetime and bring you four incredible years of Emory memories and Atlanta adventures. I hope you have a blast during Orientation, and good luck at Songfest!